I made these for Thanksgiving, and they were a big hit! 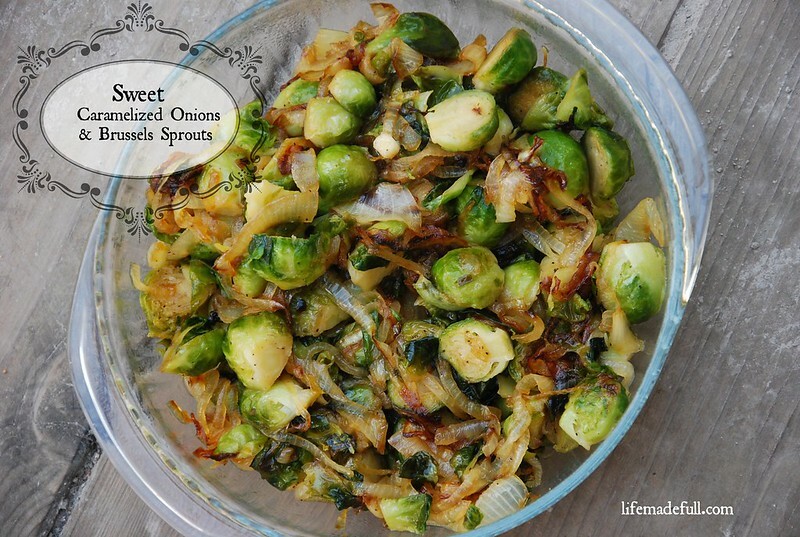 The sweetness takes these Brussels Sprouts over the top! Heat about 2 TBSP of the oil in a large skillet. Add in sliced onions and cook until caramelized, about 10-15 minutes, adding in about 2 TBSP of honey the last 5 minutes or so of cooking. Note: Don’t rush this! You want to make sure the onions are nicely caramelized. Remove the onions and set aside. 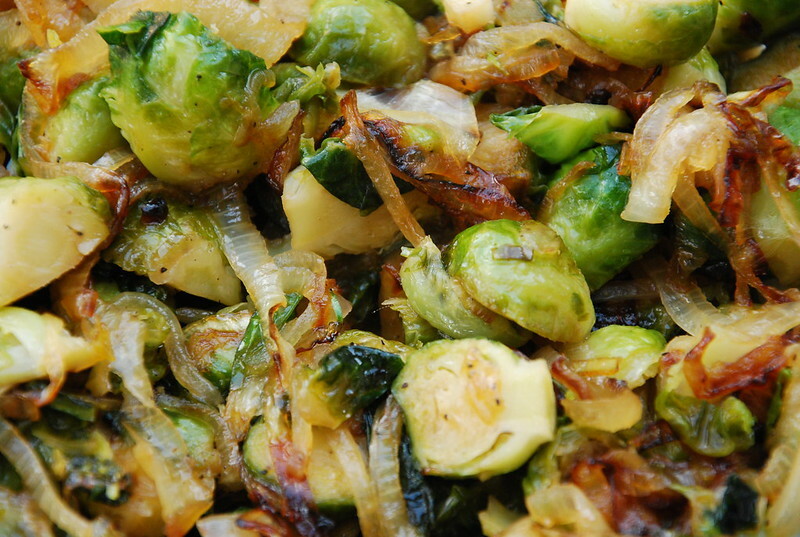 Add the remaining oil and the Brussels Sprouts to the pan. Stir in remaining honey, and salt and pepper. Cover and cook for 5 minutes, then remove lid and finish cooking, about another 5 minutes. Add in onions, stir and let cook together for about 1-2 minutes before removing to serving platter. Enjoy!